NEW BEDFORD, Mass. 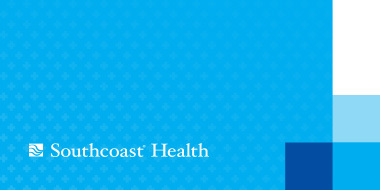 – Southcoast Health System announced today that Nosheen Javed, MD, FACC, has joined Southcoast Physicians Group from New Bedford Medical Associates, and will now see patients in her new office located at Southcoast Center for Primary and Specialty Care, 208 Mill Road in Fairhaven. Dr. Javed specializes in interventional cardiology including coronary and peripheral angioplasty. In addition, she has a wide range of cardiac expertise and takes special interest in vascular medicine, vascular ultrasound interpretation, nuclear cardiology and echocardiography. Dr. Javed earned her medical degree at Khyber Medical College, University of Peshawar in Peshawar, Pakistan. Following, she completed a residency in internal medicine and a fellowship in cardiology at Temple University in Pittsburgh, and an interventional cardiology fellowship at Drexel University also located in Pittsburgh. She is board certified in interventional cardiology, cardiovascular disease, internal medicine, nuclear cardiology and endovascular interventions. Dr. Javed is accepting new patients, to make an appointment, please call 508-973-2207. She currently resides in the city of North Easton, Mass. with her family.